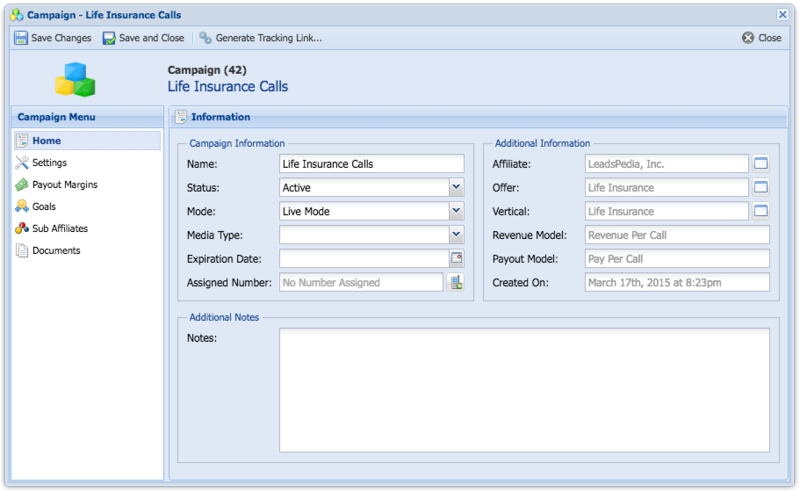 Assigning Tracking Numbers to Campaigns can be done in the Campaign's Window. Under the Campaign Information you should be able to see if there is a number assigned to this Campaign. If the Assigned Number Field is Blank (No Number Assigned) there is no Tracking Number assigned to this campaign and the campaign. Only available Tracking Numbers that are not assigned to other campaigns will be listed in the dropdown. If there are no tracking numbers listed in the dropdown, you either haven't purchased tracking numbers or you don't have any tracking numbers available.